Logan High is a caring learning community committed to excellence in education. We are rich in history and tradition dating back over seventy-five years, and our graduates, regardless of their location, still consider Logan home. Logan High School is named in honor of John Alexander Logan (1826-1886) Civil War General, U.S. Senator, and founder of the Memorial Day Holiday. In 1862 Logan fought in all the Western campaigns under General Ulysses S. Grant. He later distinguished himself at the siege of Vicksburg, Mississippi, and served with General William T. Sherman on the march through Georgia. Logan became a major general of volunteers and a corps commander. His soldiers nicknamed him “Black Jack.” Logan gained fame as a union general and political leader. After the Civil War, he helped organize the Grand Army of the Republic, a veterans’ organization. He is also credited with originating the idea of Memorial Day in 1868. Logan served in the U.S. House of Representatives from 1867 to 1871, when he resigned. He then served in the U.S. Senate until 1877, and from 1879 until his death, December 26, 1886. In 1884 he ran unsuccessfully for vice-president on the Republican ticket with James G. Blaine. Logan’s athletic teams are called the “Rangers” in honor of Captain Robert Rogers’ Rangers, a band of American frontier scouts who served with the British Army during the French and Indian War. Logan Junior High School was built in 1921 at the corner of Logan and Avon Streets. 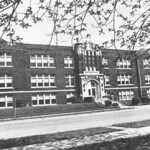 In 1928 an addition was added making it possible for north side La Crosse residents to attend their own senior high school. From 1928 to 1958, Logan was a junior-senior high school, grades 7-12. 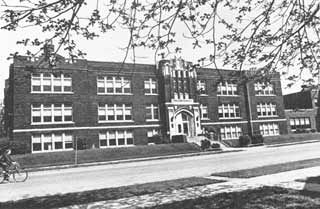 In 1958 the construction of another school on the same block made it possible to divide the school into Logan Junior High, grades 7-9, and Logan Senior High, grades 10-12. In August, 1979, the new Logan Senior High School was completed near Swanson Field on Ranger Drive. The new school was a 3-year high school during the 1979-80 school year. Logan High became a four year high school (grades 9-12) in 1980 with the reorganization of the district and creation of middle schools. Two classroom additions have been added due to increased enrollment. A multi-purpose addition was finished in the fall of 1997, which provides music and athletic practice and performance facilities.